Project The Dissemination and Fostering of Plasma-Based Technological Innovation for Environment Protection in BSR (PlasTEP). International programme Interreg IV was sponsored by the European Commission. Supervised by P. Baltrėnas. Dates and deadlines: 2007–2013. the development of a prototype mobile device for removing oil products. The results were presented at LLC Axis Technologies. The project involved Lulea Technical University (Sweden) and Illinois Institute of Technology (USA). Project New Generation Multi-Channel Cyclone. Acronym DAKACIKAS. The measure The Promotion of High-Level International Research of the 3rd Priority Enhancing Researching Abilities of the Human Resource Development Operational Programme of the European Social Fund Agency for the period 2007–2013. Supervised by P. Baltrėnas. Dates and deadlines: 2013–2015. Findings. Research on the models for the new generation one-, two- and three-level cylindrical multi-channel cyclones was conducted evaluating air treatment efficiency and the effect of chemical pollutants on operational parameters for the multi-channel cyclone. A theoretical study assessing the movement of solid particles in the multi-channel cyclone was carried out. The results were presented in the LLC Lakaja. A laboratory bench was developed and 4 research methods were prepared for assessing the aerodynamic parameters and air purification efficiency of the multi-channel cyclone. The conducted experimental research involved the laboratory bench for determining air flow pressure and rates, air purification efficiency and solid particle dispersion in the multichannel cyclone. 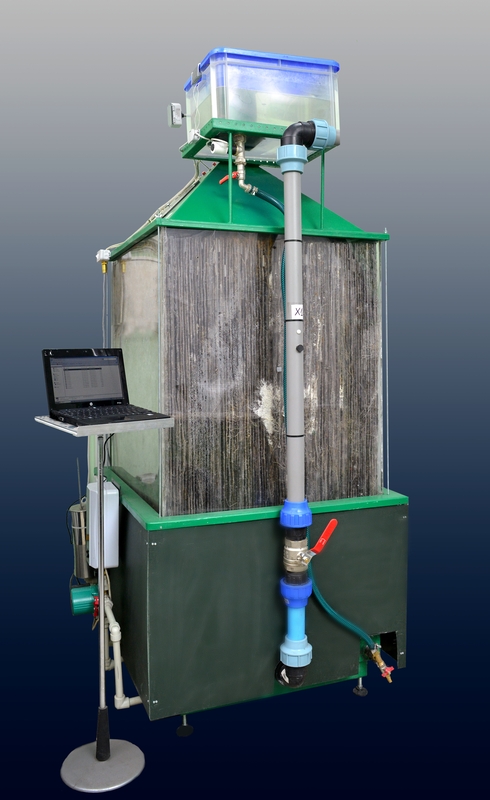 The experimental research also covered 3 models for the multi-channel cyclone and defined air flow pressure and rates, air purification efficiency and removing solid particles from the air using the cascaded impact system. Based on the results of the experimental and theoretical research, three models for the new-structure multi-channel cyclone (one, two and three levels) were developed and manufactured. The findings of the research project were presented at international conferences and exhibitions in Austria, Germany, Portugal, France and Latvia. The results were introduced at ECM Space Technologies GmbH (Germany). The project involved Marche Polytechnic University (Italy). Project Applied research and technological development of plate type air treatment biofilter with a capillary humidification system for packing material “BIOFILTER”. The European Social Fund Agency under the measure "Promoting high international level research", Priority 3 "Researcher Skills", of the Human Resources Development Operational Program for the period 2007-2013. Head of the work: P. Baltrėnas. Execution Term: 2013-2015. Results of work. Create biofilter layouts for three different modifications. To perform biofilter mock-up efficiency, microbiological parameters, aerodynamic resistance research. Prepared biofilter layout technical specifications. To carry out physical, aerodynamic, cleaning efficiency and microbiological studies of plate-like biofilter loading. Investigations of load humidity, gas flow permeability influence on air purification efficiency, load aerodynamic properties, temperature, pH, oxygen distribution, odor detection. During the project, three different plate designs with a capillary loading irrigation system were designed and manufactured for biofilter designs. 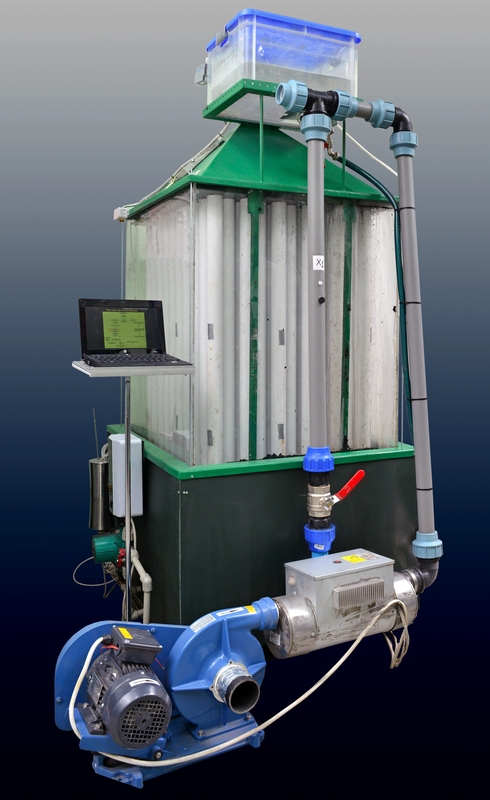 Biofilters are unique in design to purify contaminated air from volatile organic and inorganic compounds. The results are presented in the following companies: Rigva, Nature Research Center, UAB Vildeta, UAB Baltic environment, Isort, Kosana UAB, Parameter Technogogies Ltd. (Israel). International programmes COST MP0806 Particles in Turbulence. Supervised by P. Baltrėnas. Dates and deadlines: 2008–2013. and the effect of chemical pollutants on the parameters for their work. The results were presented at ECM Space Technologies GmbH (Germany). The project of the international programme COST ES0805 The Terrestrial Biosphere in the Earth System (Terrabites). Supervised by A. Zigmontiene. Dates and deadlines: 2008–2014. Findings. The carried out research involved the sewage sludge composting process that evaluated the content of lost organic carbon and variations in its regularities as well as defined the relationship between carbon suppression and natural additives used for composting. Vermicompost studies were conducted to evaluate heavy metal contamination and accumulation. The research assisted in dealing with key changes in organic carbon agro-ecosystems under varying climatic conditions, assessing the impact of technical measures on the stabilization of the content of organic matter in the soil and the issues of carbon and nitrogen oxide emissions. The obtained results were presented in the regional waste management centres where green waste composting sites were installed. The C/N ratio of the compost produced on these sites was insufficient. Therefore, the results of the research allowed accelerating the composting mode and obtaining the final better-food-quality product thus returning carbon and nitrogen into the total biogeochemical circulation cycle. The project involved the enterprise ABBA Gaia (Spain) and Queen‘s University (Canada). Technology Development Project of Research Groups The Creation of the Spiral Air Purifier with Curvilinear Channels for Removing the Discrete Phase. Supervised by P. Vaitiekunas. Dates and deadlines: 2012–2014. presented in the companies such as LLC Lignineko, individual enterprise Rigva, LLC Enerstena. Innovative, acoustically efficient structures, using rubber granulate panels, research and development. Client: Agency for Science, Innovation and Technology (ASIT). Head: R. Grubliauskas. Agreement parties: ASIT, VGTU, UAB „Lorensa“, UAB „Ekologiškos statybos centras“. Agreement objective: to develop and examine innovative, acoustically efficient structures, using rubber granulate panels. Agreement area: Environmental engineering (04T). Agreement parties' input (both monetary and other): 20 953,00 Euro for project coordinator VGTU; 7 920,00 Euro UAB „Lorensa“, 1 491,07 Euro UAB „Ekologiškos statybos centras“. Agreement parties' input (both monetary and other): 46 419,75 Euro for project coordinator VGTU; 39 824,4 Euro (out of which VGTU input is 15 929,76 Euro) UAB „Lorensa“ and 3 872 Euro (out of which VGTU input is 774,4 Euro) UAB „Ekologiškos statybos centras“. The paper according to the measure of the Economic Development Action Plan Inocekiai LT: Experimental Research on Removing Lignin Solid Particles from Gas in the Multi-Channel Cyclone Under the Aggressive Environment and Document Preparation for Producing an Industrial Prototype. Contracting authority: LLC Lignineko. Supervised by P. Baltrėnas. Executives: M. Pranskevicius, A. Chlebnikovas, V. Kolodynskij. to produce an industrial prototype. The submitted documentation will be used for manufacturing the multi-channel cyclone installed on the technological line of LLC Lignineko. Research on air pollution and simulation in Vilnius city for JSC Lietuvos dujos. Contracting authority: LLC BVRG. Supervised by A. Zagorskis. Dates and deadlines: 2015.
using the mobile laboratory were published on the web portal www.lrytas.lt. Sustainable management of energy and environmental quality at the local level. Contracting authority: The Association of Local Authorities in Lithuania (ALAL) and the Norwegian Association of Local and Regional Authorities. Supervised by R. Grubliauskas. Dates and deadlines: 2016.
ambient air quality management programme following European Union directives and national legislation in the fields of energy and environmental protection. 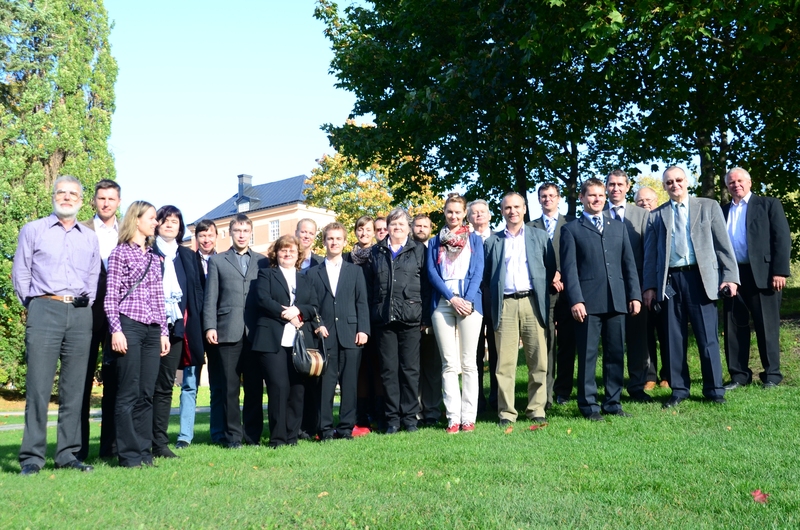 In October 2016, the training sessions took place in the three biggest cities of Lithuania and presented municipal experts with the training methodology for the ambient air quality management programme, examples, air quality improvement measures and the features of research on ambient air pollution. The measurements of solid particles in smoke ducts in the boiler house of Rembertow at Gen. Antoniego Chrusciela 110, Warsaw, Poland. Contracting authority: LLC Axis Technologies. Supervised by M. Pranskevicius. Dates and deadlines: 2016. Findings: The measurements of the fraction of solid particles (particle size) in smoke ducts were carried out at Rembertow boiler house, at Gen. Antoniego Chrusciela 110, Warsaw, Poland. The measurements were made at two points: ahead of and following the multicyclone. The fuel used in the boiler house was coal, and the boiler was loaded with 6-7 MW. A cascade effect was used for investigations thus defining the concentrations of the fractions of solid particles ahead of and following the multi-cyclone. The results containing detailed data on each measurement were presented in the table and percentage was given in the diagram. The measured fractions varied from 1 μm to 2,5 μm, from 2,5 μm to 10 μm and from 10 μm and larger. Air quality, odour concentration, research and diffusion simulation. Contracting authority: FCSI ApS (Denmark). Supervised by E. Marciulaitienė. Dates and deadlines: 2016.
pilot farm where odour reduction agents were not used. Project Investigation into the Acoustic Properties of the Newly Designed Plasterboard Structures with Acoustic Granulate and 6 Types of the Innovative Structure with Acoustic Granulate Installed in Buildings. LLC Lorensa. Supervised by T. Janusevičius. Dates and deadlines: 2017.
of specific polymeric glue, rubber granular plates were glued to building materials possessing sound insulation properties thus determining the rubber granules, their fraction and plate density having the best acoustic properties. items) in the frequency bands from 50 Hz to 8000 Hz were performed thus suggesting an effective acoustic rubber granulation design. Project The Stabilization of Bottom Ash and Slag Formed in the General Waste Incineration Unit under Natural Conditions. LLC Fortum Heat Lietuva. Supervised by S. Vasarevicius. Dates and deadlines: 2017. Project Determining Odour Concentration and Simulating Odours. LLC Vilniaus energija. Supervised by M. Pranskevicius. Dates and deadlines: 2017.
estimating odour distribution in the air. The program assisted with determining data and the values of pollution in the ambient air. Also, according to the prevailing meteorological conditions, the effect of the odour in the nearest residential area was assessed. Project Research on Glass Waste and its Hazard Assessment. LLC Antraza. Supervised by S. Vasarevicius. Dates and deadlines: 2017.
cathode ray tube used in TV sets and computer monitors was examined. The features of this type of glass waste were evaluated, and the hazard / non-hazard criteria and properties of this waste were defined. Implementation of environmental monitoring 2010-2014 programme in Raseiniai Region municipality. Client: Raseiniai Region municipality administration. Head: J. Bradulienė. Agreement parties: VGTU, Raseiniai Region municipality administration, National Public Healthcare Laboratory (NPHL). modelling, to submit a half-year and general report on the total research period with recommendations. Agreement parties' input (both monetary and other): the municipality has allocated 40 889,54 Euros VGTU, 22 878,58 Euros NPHL. The allocation of the results: on the basis of the research results, the interim research reports with data analysis and recommendations have been prepared. The obtained results have been presented to Raseiniai Region municipality administration and community. Agreement terms: October 2010 – December 2014. 1. "Researchers 'Night 2013", "Researchers' Night". The 7th Framework Program of European Commission for Research, Technological Development and Demonstration Activities. The VGTU co-leader of the project is V. Vaišis. Execution deadlines - 2013-2017.
created by each participant, laser scanning technologies were presented and various environmental engineering equipment was demonstrated. 2. The public lecture "Management of Polluted Territories" together with discussions was delivered for Environmental Project Management Agency staff. Lecturer: S. Vasarevičius. Execution period: 17.09.2013. 3. Baltrėnas, P .; Kazlauskienė, A. .. The molasses-based material and its applications for road and street maintenance // Construction and architecture. Vilnius: UAB "Statyba ir architektūra". ISSN 0131-9183. 2013, no. 12, p. 42-45. [M.kr . : 04T]; [Ind . : 1,000] [Ind. auto ark: 0,286]. parameters of plants are higher than that of the substance. The molasses-based material performs the function of the fertilizer, improving the soil's condition. 1. Preparation and dissemination of environmental issues in waste management, water management, sustainable development, climate change and its mitigation, in the local newspaper of Skuodas, Lazdijai, Kaišiadorys, Joniškis and Švenčionys district. Client: Ministry of Environment of the Republic of Lithuania. Head of the work: J. Bradulienė. Execution Term: 2014-2015. Work results. 4 articles were published in the Lazdijai district newspaper "Lazdijai Zvaigzdes" (topics: "How and why should we handle electricity and electronic waste? ", "Let's take advantage of the system of developing a one-time packaging collateral system in Lithuania", "Construction and repair waste - construction waste". What to do? "," Climate change and renewable energy sources - how they relate to each other "). In the Skuodas regional newspaper "Our Word", 5 articles were published (themes: "Rational water consumption reduces the negative consequences of climate change", "We will use the forest resources in a responsible way", "Packaging waste for separate containers", "How to choose: water from a well or centralized water supply systems? "," Manure and slurry should not pollute the environment "). Work results . The construction and demolition of waste arising from the main construction sites was described. The main legislation regulating the management of this waste was presented, with emphasis on waste management requirements. The main problems about handling construction and demolition waste were discussed. 3. Marčiulaitienė, E. The air purification plate type biofilter design is being constructed // Science and technology: Journal of the Lithuanian MA and Lithuanian Engineers Union. Vilnius: UAB "Mokslas ir technika". ISSN 0134-3165. 2014, no. 6, p. 14-15, 33. [Mgr . : 04T]; [Ind . : 1,000] [Ind. auto ark: 0,214]. Work results. The article contains information on a high-level international research project carried out at the VGTU Environmental Protection Institute. Pilot studies were carried out according to 2007-2013 "Human Resources Development Program 3 priority "Strengthening Researchers Capacity" VP1-3.1-SMM-10-V measure "Promoting high international research project "The air purification biofilter of plate design with capillary boot irrigation system". Applied Research and Technological Development "BIOFILTER" project"(Project No. VP1-3.1-SMM-10-V-02-015). 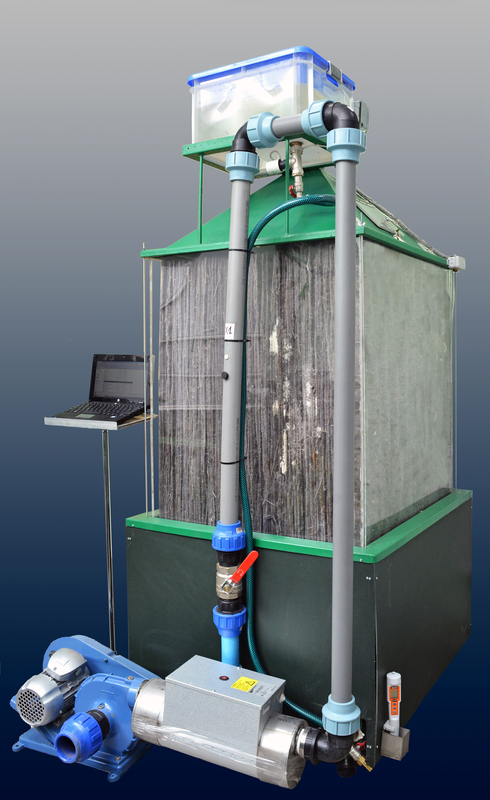 The objective of the ongoing project is high-level international research aimed at creating a more efficient design of the airpurifying biofilter with a capillary boot watering system. The task to achieve the goal is to create a new generation biofilter model after research. 1. Baltrėnas, P .; Vasarevičius, S. New generation multi-channel cyclones were developed at VGTU Institute of Environmental Protection. // Science and technology: Lithuanian magazine of MA and Lithuanian Engineers Union. Vilnius: UAB "Mokslas ir technika". ISSN 0134-3165. 2015, No. 7-8, p. 22-24. [M.kr . : 04T]; [Ind . : 1,000] [Ind. auto ark: 0,214]. Work results: Presentation of the DAKACIK project and its implementation at VGTU. The multi-channel cyclone of new construction and its differences from traditional cyclones were described. The main advantages of the new facility and possible areas of use were emphasized. 1. On 12 April 2016 A. Zagorskis participated in the GOLD FM radio show. During the program, the public was introduced to air purification biotechnologies starting with volatile organic and inorganic compounds. Work results: A brief overview of air purification technologies with a focus on applied biotechnologies, in order to clean air contaminated with various volatile organic and inorganic compounds. 2. "Researchers 'Night in 2016", "Researchers' Night". The 7th Framework Program of European Commission for Research, Technological Development and Demonstration Activities. 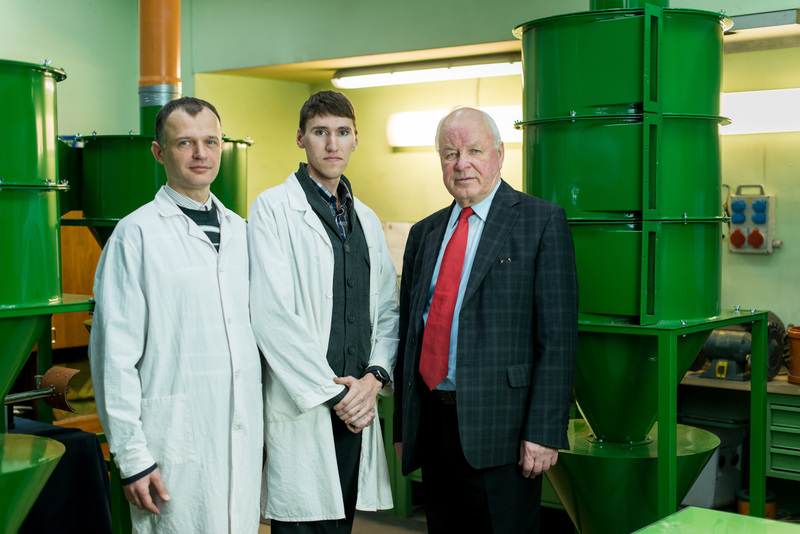 The leader of the VGTU part in the project is V. Vaišis. Execution deadlines - 2013-2017. Work results. In 2016 the events in the project called for new discoveries and new opportunities to discover a researcher, a scientist in themselves. In the Faculty of Environmental Engineering, there were interactive, community-based workshops, during which a unique city of each participant was created, laser scanning technologies were and various environmental engineering equipment was demonstrated. During the program patents, their principles of performance and advantages were presented at VGTU Environmental Protection Institute. 3. On 3 February 2016 A. Zagorskis participated in the LRT radio show "Knowledge Age", broadcasted on 3 February 2016.
environmental pollution reduction technologies developed at the Vilnius Gediminas Technical University Environmental Institute were presented. 1. Preparation and dissemination of environmental issues in waste management, water management, sustainable development, climate change and its mitigation issues were published in the local newspapers of Skuodas, Lazdijai, Kaišiadorys, Joniškis and Švenčionys district. Client: Ministry of Environment of the Republic of Lithuania. Head of the work: J. Bradulienė. Execution Term: 2017.
published (topics: "What to do with old tires? ", "Let's know nature - Žagarė Ozė pedestrian cognitive, educational and recreational track", "The amount of waste will be halved to the regional landfill"). 2 articles were published in the Švenčionys regional newspaper "Švenčionių kraštas"
(topics: "Water pollution in Švenčionys district", "Climate and its change: do we have to worry?"). 7 articles were published in the Lazdijai District Newspaper "Lazdijai Starė". In the Skuodas regional newspaper "Our Word" 9 articles were published. 9 articles were published in Kaisiadorys regional newspaper "Kaisiadorys Echoes". The article was published in Joniškis district newspaper "Sidabrė". 8 articles were published in Švenčionys regional newspaper "Švenčionių kraštas". 2. „Researchers 'Night in 2017“, „Researchers' Night“. The 7th Framework Program of European Commission for Research, Technological Development and Demonstration Activities. The leader of the VGTU part in the project is V. Vaišis. Execution deadlines - 2013-2017. Work results. In 2017 the events in the project called for new discoveries and new opportunities for discovering a researcher, a scientist in themselves. In the Faculty of Environmental Engineering there were interactive, community-based workshops, during which a unique city of each participant was created, laser scanning technologies were presented and various environmental engineering equipment was demonstrated. Consulting-services. Client: Adpilis UAB; UAB Energijos taupymo centras; Public institution "Arts and Education House"; UAB "Vilniaus energija"; AB Lietuvos gelezinkeliai; AB "Guartis"; UAB "Matavimų sistemos"; UAB "Litesko"; Grigiskes AB; AB Biofuture; UAB "Turboservisas"; AB "Vilniaus baldai"; UAB "Ekotėja"; UAB "Aplinkos vadyba"; UAB "Pramonės energija"; UAB "Livintus"; TAEM Urbanists UAB; MB "Virmalda"; UAB "Biodegra"; Garantas UAB; JSC "Active Entertainment"; UAB "Elesanta"; State Enterprise "Our crafts"; UAB "Lazdijų šiluma"; AB Machine Works "Astra"; Vilnius University Hospital Santariškės Clinics; JSC "Railway Environmental Center"; UAB "Nemenčinės mediena"; UAB "Alinita"; UAB "Corpus A". Execution dates: 2013-2017. Findings. Physical and chemical analysis and risk assessment comparing the results of the research with the valid hygiene norms. Measurements from stationary sources of air pollution from industrial enterprises. Physical factors researches. Modelling of pollutant dispersion in ambient air. Laboratory studies of emissions of stationary pollutants into ambient air pollutants. Sampling of Vanady (V) samples in ambient air and sources of pollution. 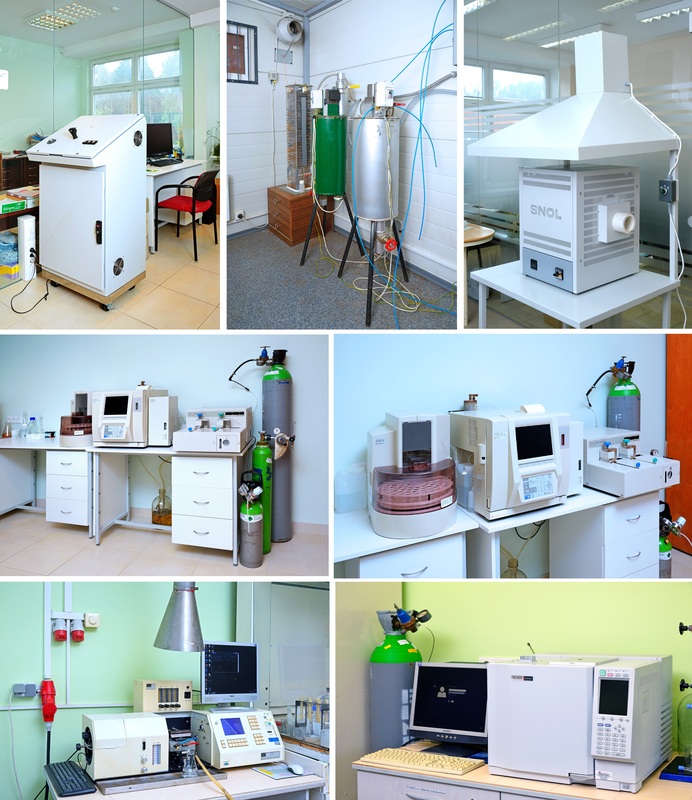 Determination of odor concentration and odor modelling. The inventory of the combustion of the equipment air pollution sources and their emissions. Physical measurements of sound insulation parameters of static parts (partitions, facades, overlays, reverberations) and noise level tests. Investigation of the noise level (low frequency sound) arising from the technological process and the presentation of recommendations on noise abatement measures. Noise level studies. Microclimate tests. Enlightenment researches. Estimation of boiler emissions by measurements of nitrogen oxides, carbon monoxide and particulates. Occupational risk assessment at workplaces. Investigation of train noise levels in a residential environment. Electromagnetic radiation researches. 1. The employees of the Environmental Protection Department and the Department of Construction Economics and Real Estate Management together with VGTU have prepared and presented the National healthy Housing Certification Model consisting of two parts, one of which is intended for residents and one for experts. The model is based on the 2007-2013 Implementation Measure No. 4 of the Operational Program "Human Resources Development Operational Program" Strengthening Administrative Capacity and Increasing Efficiency of Public Administration " VP1-4.3-VRM-02-V-01-003 "Improving the management of risk factors for the living environment ". The executives: P. Baltrėnas and others. Execution term: 2012-2013. 2. Environmental monitoring of the territory of Klaipėda district municipality in 2011-2015 program execution. Client: Klaipeda district municipality administration. Leader: P. Baltrėnas. Execution term: 2011-2015.
equivalent noise was exceeded. Maximum permissible noise levels (at least once) were detected at the 21 sites of research. The main causes of the exceeded noise level in the living environment are the absence of noise-reducing walls between the streets and residential areas, the state of vehicles and roads, and possibly the excessive car speeds within the settlements. During and after the research, counselling was provided to the municipality administration and the public. During the project, it was cooperated with FCG Designe and Engineering Ltd (Finland). 1. 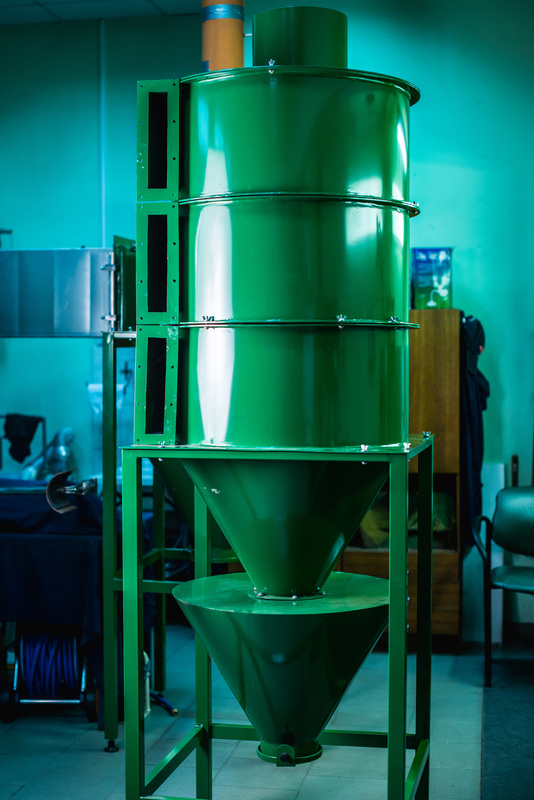 Work in accordance with the Action Program for Economic Growth "Inočekiai LT": "Experimental studies of multi-channel cyclone of gas purification from lignin particles in an aggressive environment and preparation of documentation for the production of an industrial prototype". Client: UAB "Lignineko". Head of the work: P. Baltrėnas. Execution Term: 2014.
to produse a commercial prototype were prepared. The submitted documentation will be used for production of multichannel cyclone and this multichannel cyclone will be installed in the technological line of UAB "Lignineko". passive collectors (NO2, SO2 and VOCs) and a mobile laboratory (for investigation of KD and CO) in Gargždai, Dovilas, Priekulė, Dauparai, Kvietiniai, Endriejavas, Vėžaičiai, Kretingalis, Sundvaris, Judrėnai subdivisions and it was determined that air pollution had not been exceeded. During and after the research, counselling was provided to the municipality administration and the public. 3. The air quality monitoring services of Elektrenai municipality environment. Client: Elektrėnai municipality. Head of the work: P. Baltrėnas. Execution term: 2011-2014.
mg / m3 (0.9% of the limit value ) During and after the research, counselling was provided to the municipality administration and the public. 1. Preparation of the Utena Region Municipal Waste Management Plan, Waste Management Rules and Strategic Environmental Impact Assessment for 2014-2023. Client: Utena District Municipality Administration. Topic leader: K. Bazienė. Execution Term: 2015. Municipality were prepared. The whole package of documents was submitted to the Utena District Municipal Council. During the project, it was collaborated with Lulea University of Technology (Sweden). 2. Air quality study services of Šiauliai Region municipality. Client: Šiauliai District Municipality. Head of the work: M. Pranskevicius. Execution deadlines: 2015.
oxide concentration in ambient air throughout the study period ranged from 1.5 to 20.9 μg / m3. During and after the research, counselling was provided to the municipality administration and the public. 3. Estimation of Electromagnetic Radiation of the Residential Environment of Trakai. Client: Trakai District Municipality Administration. Leader: T. Januševičius. Execution deadlines: 2015.
affect the health of the population. During and after the research, counselling was provided to the municipality administration and the public. 1. Sustainable management of energy and environmental quality at the local level. Client: the Association of Local Authorities of Lithuania together with the Association of Norwegian Municipalities, Regions and Employers. Head of the work: R. Grubliauskas. Execution terms: 2016. Findings. A model of air quality management program was developed. 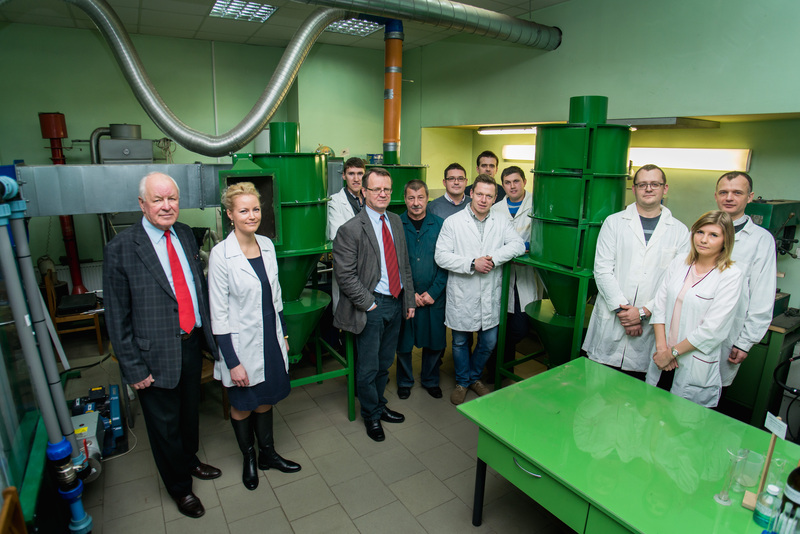 Specialists of the Institute of Environmental Protection of VGTU also developed pilot environmental air quality management programs for Jonava, Panevėžys and Vilnius district municipalities. During the preparation of programs, air quality research was carried out during the winter and summer seasons using mobile research laboratory. The objective of the project is to assist municipalities in developing renewable energy development plans and air quality management programs in the way required by European Union directives and national energy and environmental legislation. In October 2016 in three major cities of Lithuania municipal experts were introduced to the methodology of the preparation of the air quality management program, examples and air quality improvement measures, and the features of air pollution research in the environment were presented. 2. Training of managerial personnel and specialists in the management of waste management, business consulting and consultations of business entities collecting, transporting, storing and processing hazardous waste were organised. The client is the Ministry of Environment of the Republic of Lithuania and business entities licensed for hazardous waste management. Head of the topic: A. Zigmontiene. Execution Term: 2013-2018. Findings: consultations on the principles of regulation of the environmental impact assessment process of the proposed economic activity for the companies providing hazardous waste, analysis of hazardous waste management activities and environmental regulation were provided; Analysis of requirements for Integrated Pollution Prevention and Control (IPPC permits) and Pollution Permits for Hazardous Waste Management Activities for Waste Managers and the Principles for the Disposal of Waste Management Decommissioning Plan were submitted. In the course of consultations, technological development measures were selected for business entities by area of activity and the best available methods of production. REACH application principles in the process of identifying hazardous waste were applied. Scientific - technical advice and training in determining hazardous waste criteria were conducted. During the project,it was collaborated with Malaysia University of Technology (Malaysia). 3. Noise level measurements and modelling in a residential environment. Client: UAB "Geležinkelių aplinkosaugos centras". Leader: T. Januševičius. Execution terms: 2016.
and modelled noise level is carried out. 4. Project "Impact of lead in protective seals on the environment and health of workers". Client: Vertybės Sauga UAB. Head of work: E. Baltrėnaitė. Execution Term: 2016. Findings. According to the World Health Organization, lead is among the top ten chemicals that pose a major concern with regard to human health risks. Lead is a toxic metal, and its extensive use exacerbates environmental pollution and health problems in many parts of the world. Population exposure to lead is the cause of about 0.6% of the world's diseases, especially in developing countries. Its use in products of various uses raises concerns about its effects on the environment and human health. The use of lead in the manufacture of protective seals has been known since ancient times, but because of lead as a dangerous substance, more and more countries refuse this kind of environmental seal. Lead protective seals in Lithuania are still widely used for sealing water, gas, electricity meters, freight wagons and warehouses. On average, 40% of lead seals are used in the transport sector, 40% in the utilities sector and about 20% in other industrial sectors. The impact of lead in sealing seals on the environment and the health of workers was analyzed and evaluated. 1. Consultation services on the environmental impact of the project "Assessment of the necessity of tax on waste management in biomass and waste incineration plants and the service of the determination of the amount of this tax". UAB SMART CONTINENT LT. Head of work S. Vasarevičius. Execution Term: 2017. Work results. A methodology for environmental impact assessment was prepared. The environmental impact of the EU member tax on waste management in mechanical and biological treatment plants was examined by introducing a tax on waste management in these installations. The EU member tax on waste management in mechanical treatment plants, separately describing the environmental impact achieved by introducing a tax on waste management in these installations was examined. The environmental impact of the EU member tax on waste management in co-incineration and waste incineration plants was examined. The potential environmental impact of taxes offered in Lithuania was determined. 2. Implementation of the environmental monitoring program in 2016-2018 in the Utena district. Client: Utena District Administration. Leader: E. Marčiulaitienė. Execution deadlines: 2016-2018. Work results: Utena District Laboratory), monitoring of surface municipal territory: environmental air (passive storage method and mobile, underground (shaft wells), beaches and bathing water, noise, soil, living environment). In the course of and after studies, municipality administration and the public were consulted. 3. Determination of the hazard of cathode-ray tubes (TVs and monitors) for glass waste. UAB "Waste Management Center". Leader: A. Zigmontiene. Execution deadlines: 2017. Work results: The existing legislation of the Republic of Lithuania and the EU regulating the assessment of the hazardousness / nonhazardousness of waste was analyzed. The chemical composition of different glasses, composition of glass waste from cathode ray tubes of TVs and computer monitors were reviewed. The assessment of the properties of this glass waste was carried out and the hazardous / nonhazardous criteria and properties for this waste were assessed.